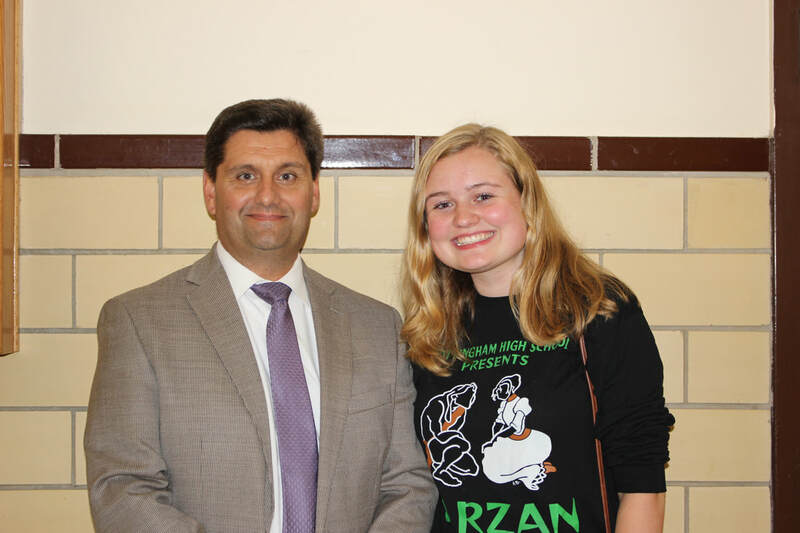 Dr. Scott Rocco, a 19-year resident of Hamilton, was appointed superintendent of the Hamilton Township School District in early May. He has been in education for 23 years, and has held positions such as principal and vice superintendent. He worked in the Hillsborough Township School District for 13 years, and worked in Spotswood Public Schools for the last four years. Dr. Rocco has a master’s degree in education from The College of New Jersey, and a doctorate in leadership, management, and policy from Seton Hall University. He has also co-written two books about education: 140 Twitter Tips for Educators and Hacking Google for Education. I have had the pleasure of knowing Dr. Rocco for the majority of my life. I was able to speak to him recently about his career and his expectations and goals for the district in the upcoming years. He answered questions submitted by Nottingham's Journalism class students. Dr. Rocco recently held a poll to establish a theme for the district in the 2017-2018 school year. Over 3,500 votes were cast: the theme is "The Future is Ours to Build Together." He has also created a Twitter account which updates his followers on events happening in the township; the handle is @WeAreHTSD.